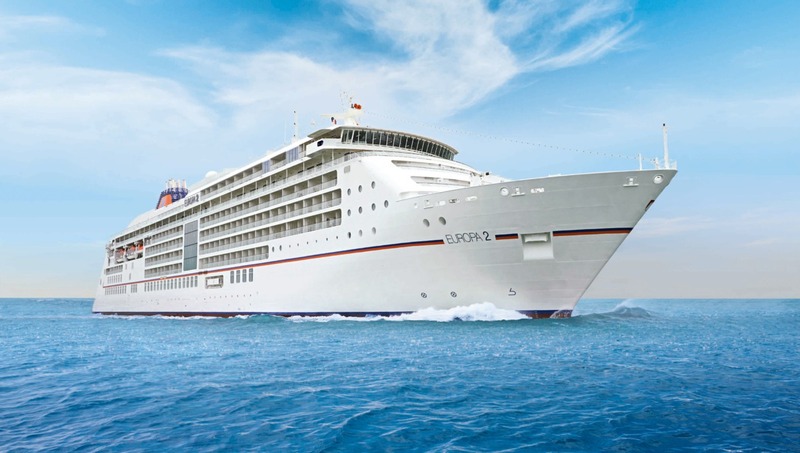 Julian Pfitzner had an extraordinary week in early May of this year when he not only oversaw the pre-inaugural cruises, christening and launch of Hapag-Lloyd Cruises' newest ship Europa 2, but also welcomed to the world his first son, Karl Leo. Pretty stressful in anyone's terms, you would have thought, but on board Europa 2 he looked relaxed and happy, and certainly if you had seen the ship, you would know why. As Director of Product Management for Europa 2, Julian is responsible for everything concerning the vessel that does not fall into the 'engineering' category. I assumed he would have a background in Hotel Management, but no, his career path was slightly unorthodox. He trained as an economist with a special interest in marketing, and his early career was spent in the FMCG market, as product manager for a selection of jams and jellies. From there, a stint at the global management consultants McKinsey honed his business skills as he worked with blue chip McKinsey clients. A McKinsey colleague, Sebastien Ahrens, subsequently moved to Hapag-Lloyd Cruises, and after taking a holiday on the current Europa, Julian confessed a fascination for the industry, intrigued by the way in which the crew delivered such extraordinary levels of service. So it was that late in 2010, just when the contract was signed with the yard to build Europa 2, Julian Pfitzner joined Hapag-Lloyd Cruises. I asked him if it mattered that he had not had a previous career in hospitality. His answer: 'I've stayed in a lot of hotels..', may sound frivolous, but actually is very convincing. With a team of hotel experts supporting him, he examined every aspect of the product delivery on Europa 2 and came up with a combination of contemporary design and old-fashioned service, inspired by the finest hotels in the world. He is a particular admirer of Shangri La, Rocco Forte and Park Hyatt, but confesses to a weakness for the classic independent grand hotels of the world, for their outstanding personal service offering. 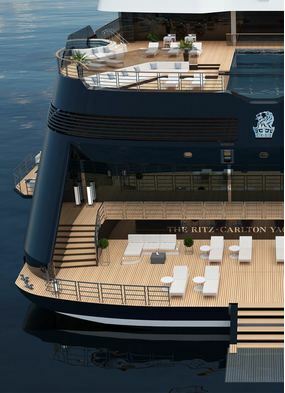 After months of choosing fabrics and floor coverings, selecting cutlery, examining glassware, feeling sheets and testing pillows, with the delivery of the ship he moves into a new phase in his working life: his responsibility is now to fill the beds, to ensure the ship is positioned correctly in the market, to listen, and where appropriate act upon, feedback from guests and crew, to plan new itineraries, and to ensure that Europa 2 is hailed as one of the finest ships in the world. So, I wondered, how is that going?. 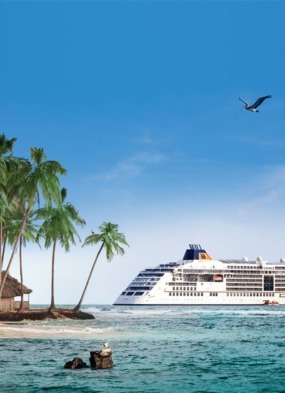 Well of course there has been lots of feedback, particularly from loyal and regular Hapag-Lloyd Cruises guests, some of whom miss the formality and Germanic style of Europa. But up to 50% of guests are coming to the company for the first time, with a slightly lower age profile, and attracted by the casual, contemporary ambience, the quirky entertainment, the outstanding sports facilities, the shorter itineraries, the choice of dining, and the excellent spa. 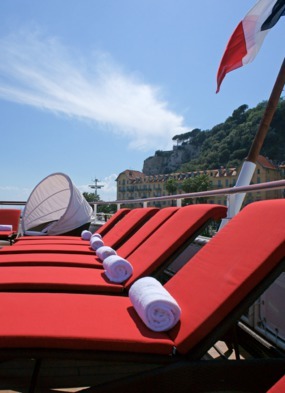 As for the international mix, well the goal of 10-15% English speakers is a little way off, but the numbers are rising, and the totally bilingual staff ensure that from the moment one single guest indicates English is his or her first language, then the ship operates bilingually. Asked what his preferred holiday would be Julian admits that Europa 2 was designed with people like him in mind. He had holidayed on Europa before being involved in the industry and enjoyed it tremendously, but thought a more relaxed style would suit him better. He is also a keen sailor, and loves to spend time at his holiday flat next to the North Sea so clearly the water is important to him, and readers of my article on the ship itself will know just how visible the sea is from every location on board. My time was up - this busy individual needed to rush to his next meeting. As a final question, I asked what about Europa 2 made him most proud. 'The crew', he told me. 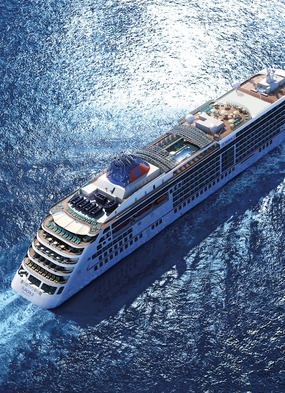 'Given the resources, the money, the inclination, anyone could build such a ship as Europa 2. But this young, highly trained group of professionals stands head and shoulders above any team I have encountered anywhere in the world'.